Üsküdar Çevresi: Quotation: Princeton University A World History of The World, China and Europe: Cautious Friends or Intimate Enemies? Quotation: Princeton University A World History of The World, China and Europe: Cautious Friends or Intimate Enemies? This week we were tasked with discussing the nuances of trade between Chinese and European merchants during the 16th century. More specifically, we want know to know what worked, and why. What did the Europeans want from the Chinese that they couldn't acquire elsewhere? Why was there a motive for trade between two very different and very distant peoples? 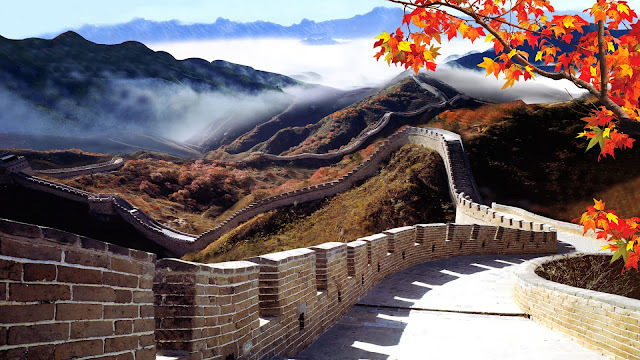 Out actual forum question was as follows: Having read all the documents, what do you see as the possibilities for trade between China and Europe in the 16th century? What are some possible tensions in the interaction between the two regions? Our documents, if you don't have access to them, were journal accounts from Matthew Ricci. We'll refer to and explain them more below. We also occasionally reference the textbook or external sources. Citations are at the end of the post. So, without further ado, lets jump into it! But why did this effect the Ming's interactions with Europe? Well, the Ming were concerned that foreign influence would disrupt their domestic system. They had a good thing going for them. They didn't want other powers ruining it. Certainly, the Ming were willing to trade -- they'd been doing so for centuries across Western Asia. The difference with Europe was that Western powers posed a unique threat to Ming stability. The Europeans had stronger warships. They also had more refined weaponry such as cannon and muskets (while the Chinese had salt peter, it was utilized primarily in non-military functions like fireworks displays). 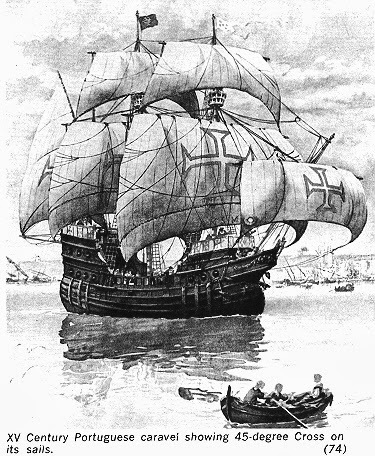 Explorers like De Gama had demonstrated that Europeans could resort to violence and piracy. One Chinese official noted that “The [foreigners] are most cruel and crafty… Some years ago they came to Canton, and the noise of their cannon shook the earth.” (Worlds 479) From the perspective of the Ming, who were still working to centralize the empire, the Europeans were the last thing they wanted deal with (for a while, at least). So, how did the Ming push back? For starters, they didn't let the Portuguese assert supremacy. Upon arriving in China, De Gama and his crew were taken hostage and their ship was sunk. In later years, those Portuguese that traded in China were quarantined to the edge of the country in ports and coastal towns. Europeans living in the interior of the country were forbidden from leaving. The relationship between European and Chinese traders was inherently limited by the tense interactions between their respective governments. Because the Chinese were so cautious, any trade that could occur with Europe needed to be distinctly beneficial. Only then would foreign influence be worth it, as we'll see in the next section. Matthew Ricci, the founder of the first Christian mission to China, noted in his journal that “...practically everything which is grown in Europe is likewise found in China.” (Ricci 11) He went on to describe the bounty that China had to offer foreign traders. 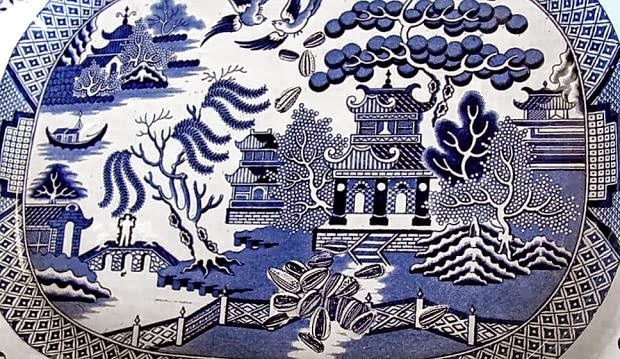 The country had spices, rice, bamboo, tea, porcelain, silk - the list goes on of Chinese commodities and natural resources that were ample for trade. The Chinese had the high ground. They didn't need anything from the Europeans, at least at the outset of contact. As Ricci noted, “Everything the people need for their well-being and sustenance, whether it be for food or clothing or even delicacies and superfluities, is abundantly produced within the borders of the kingdom and not imported from foreign climates.” (Ricci 10) Indeed, the Ming's self- sufficiency was partly the cause of adverse tensions with Europe in the first place. The Emperor feared that resources necessary for the prosperity of his dynasty would be extracted from China as ruthlessly as they had been in India and Africa. There was a lot of potential for trade between China and Europe. Matthew Ricci said it right when he noted that “It is a matter of common knowledge… that the Chinese are a most industrious people… they are endowed by nature with a talent for trading.” (Ricci 19) Good relations never manifested because of prejudice on the part of both parties. The Chinese feared European intrusion and the Europeans saw the Chinese as arrogant and selfish. Their relations, from day one, were hostile and securitized. Exchanges were fraught with silver, luxuries, and other exotic goods, but they were limited. One wonders what might have been if the two nations hadn't gotten off to such a bad start. Might Chinese medicine, religion, and culture would have spread to Europe much faster if foreigners hadn't been purposefully separated from local inhabitants? Would Christianity have taken a greater hold in China if missions had been more numerous and less regulated? Ultimately, we'll never know, as the events described above are what unfolded after that fateful first contact with Portuguese sailors at Macao. It's too bad, really. After all, China truly is a bountiful place. 1. Ricci, Matthew. China in the Sixteenth Century: The Journals of Matthew Ricci: 1583 - 1610 (class 2. text). 3. Walcha, Otto. Meissen porcelain. Ed. Helmut Reibig. GP Putnam's Sons, 1981. Worlds Together, Worlds Apart: Volume II (class text).